The best camping in Louisiana. 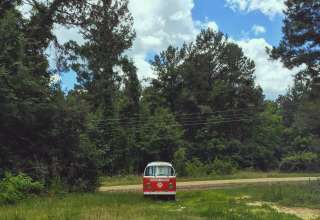 Down by the bayou, a world of great camping & great food awaits. Unique coastal geography, along with rich history and culture, puts camping in Louisiana in a league of its own. 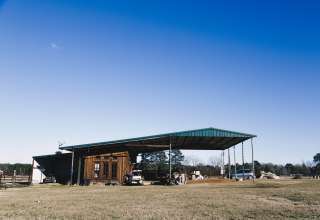 Stay in tents and cabins within Louisiana's densely wooded national forests, and nature preserves, enjoying endless days of fishing, hiking and lounging along the bank of a lake or river. Head to Alexandria to take advantage of the fishing, swimming, ATV and boating opportunities at Camp Cook and the surrounding national forests, or make your trip all your own with a stay at one of Louisiana's private farms, butterfly sanctuaries, or furnished cabins. 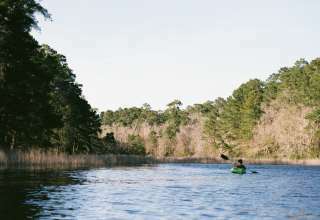 Head down to the bayou to pitch your tent by the wetlands, exploring the slow waters, cypress trees and wildlife by kayak or canoe. Nearby New Orleans provides a dose of spectacular food, music, art and architecture if you choose to venture away from nature. The Lake Pontchartrain Causeway, right in New Orleans, is the longest continuous bridge in the world at 24 miles. Louisiana is the only US state containing a sizable population of Cajuns, whose Acadian descendants fled Canada in the 1700s. Pirates used to make the town of Jean Lafitte their hiding spot. 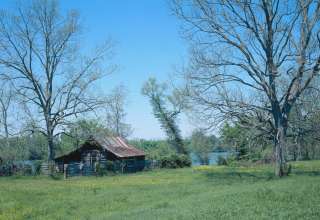 The word "bayou" is French, meaning a slow-moving river. The "Crawfish Capital of the World" is local Breaux Bridge.